Phenergan, a brand of the drug, promethazine is an antihistamine used to treat several conditions such as nausea, vomiting, motion sickness, allergic reactions, allergy symptoms and itchy skin rashes. It is also used to sedate patients before surgery or a medical procedure. 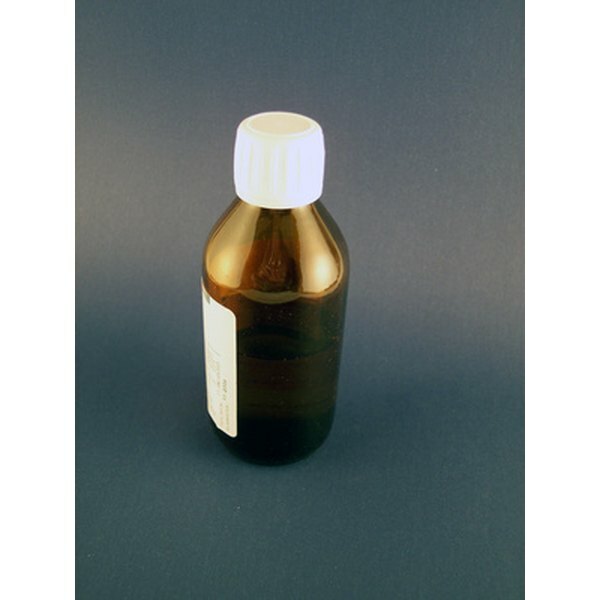 Phenergan Syrup is used in children over the age of two and may be used as an alternative dosage form for patients unable to take a tablet or have an aversion to the suppository. Drowsiness is one of the most noticeable side effects of Phenergan syrup. It produces a feeling of excessive sleepiness and may also cause dizziness. You should not drive or do any tasks that require mental alertness while taking the Phenergan syrup. The prescribing information also suggests that you avoid mixing Phenergan with other drugs that cause drowsiness, or that mentally impair you, as these side effects will be intensified. While taking Phenergan syrup you may experience feelings of confusion or may be disoriented. Phenergan syrup may also cause hallucinations in children, according to its prescribing information. Phenergan syrup may cause respiratory depression which may be severe enough to cause death, especially in children younger than two years old. This is a condition in which your breathing has been slowed to a rate of of less than 12 breaths per minute or the breaths don't sufficiently perfuse your lungs or provide full ventilation. Because of this risk, the prescribing information for Phenergan advises that it not be used in children younger than two. If used in older children, your doctor should prescribe the lowest dose that's effective for your condition. Phenergan may also lower the seizure threshold, thereby increasing your risk for developing seizures. If you have a seizure disorder or take other medications that potentially lower the seizure threshold, you should exercise caution while taking Phenergan. Promethazine has been associated with the development of a potentially fatal disorder called Neuroleptic Malignant Syndrome, notes Drugs.com.. People with this syndrome may present with muscle rigidity, compromised mental status, and a dangerously high fever. They may also experience irregular heartbeat, unstable blood pressure and sweating. Contact your doctor and stop taking Phenergan syrup if you have any of these symptoms.